Dr. Mark Dochterman, Director of the Center for Volunteer and Civic Engagement, and many civic-minded UIS students have done many projects with Habitat in the past, but this week’s project is a little extra special. 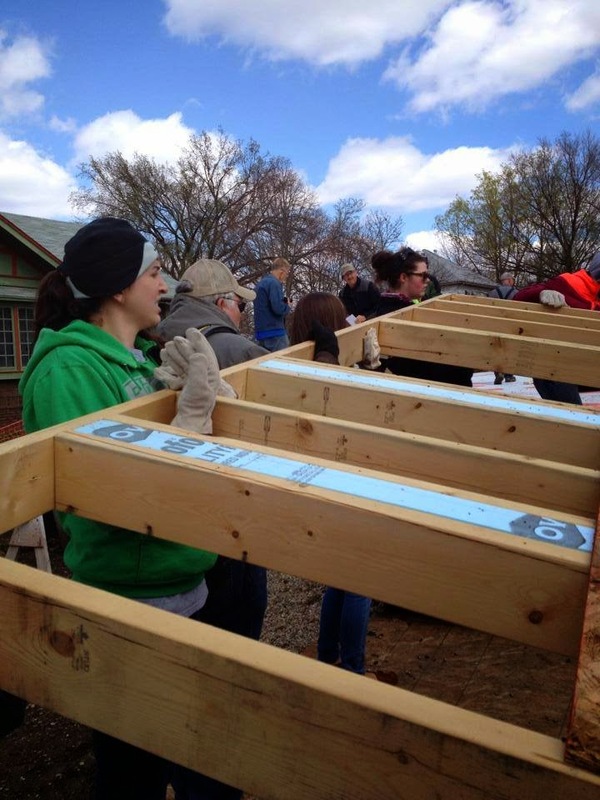 The house UIS students are helping to build is for Barbara Bell, a current UIS student. Barbara is graduating this May with her bachelor’s degree in social work. She is a licensed foster parent who has helped many youth, and now she is getting a helping hand from fellow students. Teamwork, leadership, generosity, pride - those are just a few words that come to mind. Great job, everyone! Not even snow showers can slow down the start of Springfest at UIS! One of the activities that kicks things off for this much-enjoyed week-long celebration is the Scavenger Hunt. Part of the hunt this year was to locate the Chancellor on campus and get a photo of at least three members of your team with her. Students are on a competitive timeline to locate as many items as possible in a short period of time and it was an unusual experience hearing the thunder of footsteps charging down the hall and into the Chancellor’s office between 9:30 and 11:00 on a Monday night. I wasn't that hard to find me working at my desk and, as you can see from this photo, it was a busy evening and a great opportunity to "meet and greet" some fun-loving students. Lots more fun to come throughout the week!